USB devices are a snap to connect — literally. You don’t need to turn off the laptop, run a special program, or wave a magic wand. Just plug in the USB gadget and you’re ready to roll. Some devices are recognized the second they’re plugged in. 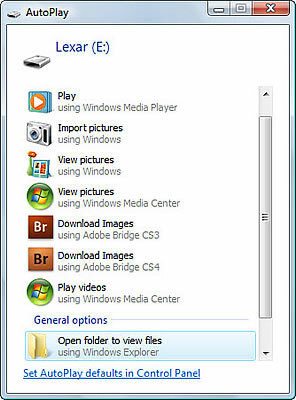 A flash drive, for example, may be instantly mounted on your computer, with its disk drive-like icon appearing in the My Computer window, ready for access. If the USB device has its own power switch, you must switch the thing on before the computer will recognize it. It’s a Bad Thing to remove a USB storage device (disk drive or flash memory card) while your laptop is in Stand By (Sleep) mode or Hibernation mode or turned off. Wait until the laptop is on again before removing the device. Otherwise, you can lose or scramble your files. Some devices, such as a scanner or printer, may involve extra setup. Be sure to read the manual that came with the device to determine whether you need to install special software before plugging in the device or turning it on. Although you can just unplug a device, it’s best to properly unmount it by first dragging it to the trash icon. The ability to plug and unplug USB devices without having to turn the computer off or on is known as hot swapping. It sounds risqué, but it’s not.